You are currently browsing the daily archive for October 17, 2008. 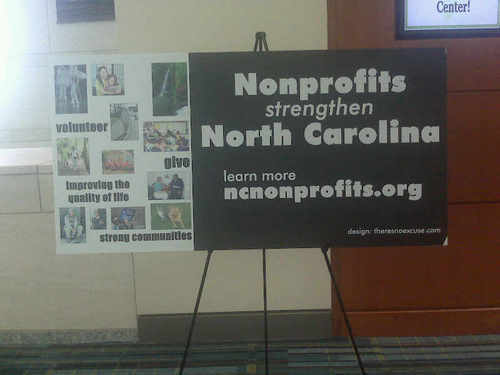 I spent the day at the North Carolina Center for Nonprofits Statewide Conference and boy was it an eye opening experience. The main takeaway for me was that social media is still very very new to many, and as professionals who do this for a living, we are not serving them well. Tomorrow, I will be at ConvergeSouth learning about Social Media 3.0, less than 24 hours after conducting a presentation in front of 40 people who don’t even understand Social Media 1.0. I am going to take a step back and start helping some of them understand all of this. If not me, then who? For anyone interested, the presentation is below.